Today I shared five different presentations for teachers in Yukon Public Schools in the district’s annual professional development conference. I recorded audio for each session and published them to my secondary podcast channel, “Fuel for Educational Change Agents.” Here are the session titles, descriptions, resource links, and podcast audio links. Of these five sessions, the only “brand new one” (which I’d never presented before) was the third session on Wolfram Alpha. If you’re just going to listen to one of these, that’s the one I’d recommend! Wolfram Alpha is MINDBLOWINGLY powerful and amazing. As co-founder Theodore Gray said in October at the Educause Conference in Denver, Wolfram Alpha has the potential to fundamentally change our relationship to computation and mathematics in the same way Google has (and continues to) change our relationship with information access. If you’re interested in inviting me to present any of these sessions for YOUR school, school district, or educational conference this summer, please get in touch! Learn how to create a free mobile application for your class for iOS (iPad, iPhone and iPod Touch) as well as Android smartphones/tablets. In this session we will learn how to create both web apps (which run via a web browser and do not require Apple Store / Android Marketplace approval) as well as basic, native mobile apps. Several different, free mobile app development options will be explored and demonstrated. No prior programming experience is required! Become an educational leader in the mobile learning revolution by offering your students opportunities to access your course content via a customized, mobile application YOU create and update! The ability to create narrated slideshows and screencasts and share them online should be a basic skill for digitally literate learners today. In this session we’ll explore the reasons why “playing with media” (including narrated slideshows/screencasts) is essential for digital literacy development, and discuss why teachers as well as students should be able to create narrated slideshows specifically to teach, learn, and demonstrate content mastery. We’ll view examples of narrated slideshows created by teachers as well as students, and learn about different tools we can use to create and publish these creations online. 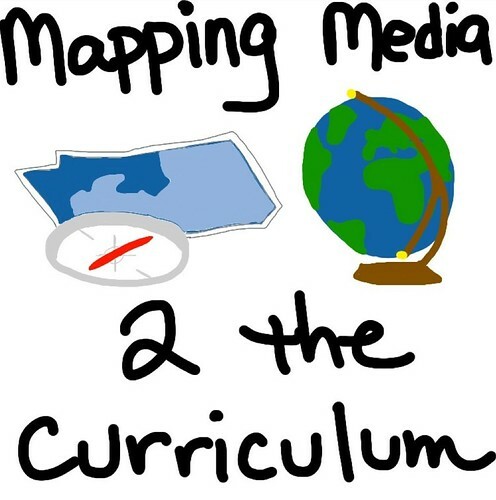 We’ll discuss the “workflow” for students creating narrated slideshows as a class assignment, either at home or in class using a cart of laptop computers, iPads, or the school computer lab. According to Theodore Gray, co-founder of Wolfram Alpha, “Google has fundamentally changed our relationship with information access. Wolfram Alpha fundamentally changes our relationship with computation.” Just as parents, teachers and professors argued about whether students should be allowed to use sliderules and calculators, some will oppose the use of Wolfram Alpha. Even more than the abacus, sliderule or calculator, however, Wolfram Alpha offers opportunities to not only accelerate the speed with which people can solve mathematical problems but also TRANSFORM the way we view and use computational tools. Anyone (teacher / student / parent / principal) teaching or learning mathematics at intermediate, secondary or college levels should know about Wolfram Alpha and its capabilities. In this session we’ll explore the basics of Wolfram Alpha as well as resources for learning more. How are you supporting the development of problem solving skills, creativity, and computational thinking skills in your school today? Scratch software (scratch.mit.edu) is free software from MIT which can be used by students and teachers to create animations, games, simulations, music, art, stories, and more. In this session we’ll explore Scratch software, watch and learn from some exemplary student projects, and discuss how you can get started using Scratch with students today. Students and teachers today need to practice interactive digital writing. Learn how to setup, use and moderate content on a classroom blog to improve student writing skills. A moderated classroom blog can be an ideal platform to use to share announcements, classroom news, and student work for a public audience. In this session we’ll use the free blogging site KidBlog to model the digital facilitation of student writing. We’ll also explore how free blogs on Posterous.com can be used by students to not only share text, but also different kinds of rich media including images, audio and video files.